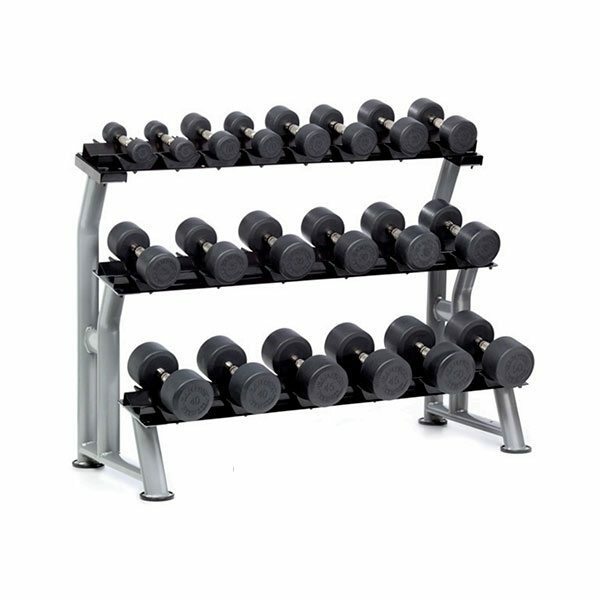 Hampton Fitness provides industry leading, commerical qualtiy eqiupment – including free weights, bars, accessories and storage solutions. 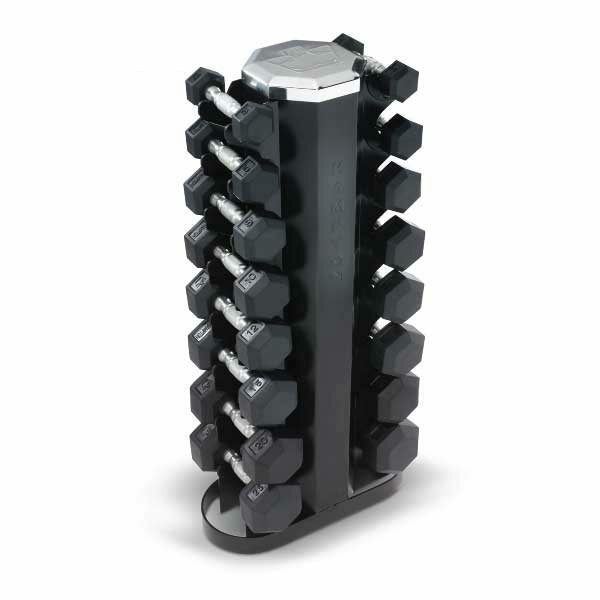 Commericial Fitness Superstore features Hampton’s patented Dura-Bell Dumbbells, Jelly Bells, Hybrid Barbells, and Gel-Grip dumbbells – just to name a few – strength products that are perfect for all your commercial fitness applications. 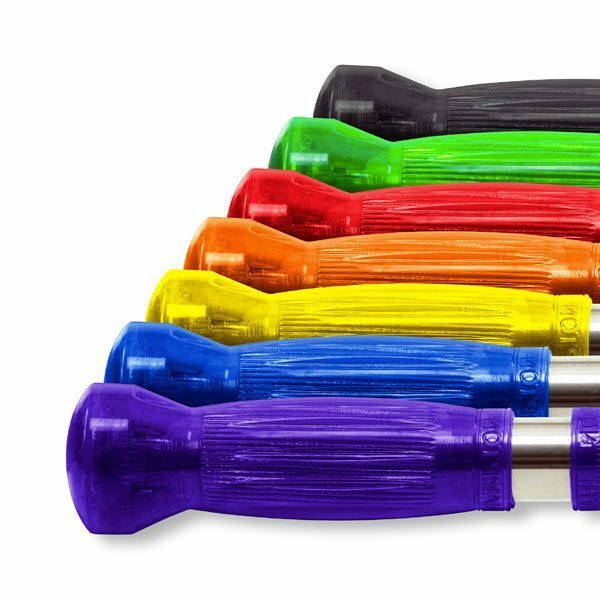 Hampton's Urethane Dura-Bar Hexagonal Dumbbell has a 35 millimeter ergonomic handle which features a hardened chrome finish and is secured to the head with a quarter inch roll pin. The only patented urethane hex dumbbell in the industry. Hampton Kettle Bell Club Packs are easy to order as a package of Kettle Bells and a Rack that goes with your specific needs. 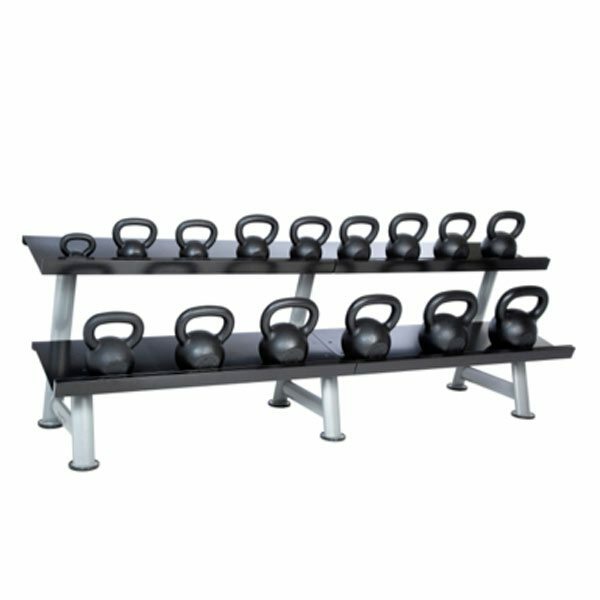 Sets include kettle bells and 1 horizontal rack. 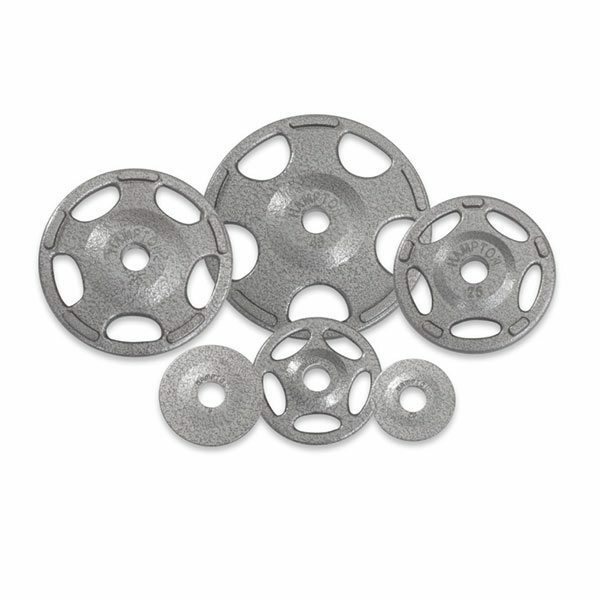 Hampton HOG (Hampton Olympic Grip) plates are cast iron weightlifting grip plates designed for Olympic curl bars, tricep bars and 7’ bench press bars. High quality cast iron with integrated hand slots insure a tough, yet functional plate able to withstand demanding commercial environments. The Hampton International Chrome Bar Club Pack may be perfect set of international chrome bars for your commercial facility. This 10 Piece Set of International Bars, with one IBR-10 rack Includes: 2 x IB-86-15CE, 2 x IB-86-7CE, 1 x IB-72CE, IB-60CE, IB-53CE, IB-35CE, IB-49CE & IB-72ACE. Hampton Vertical Dumbbell Racks are the optimal space-savers! We have an assortment of styles to choose from. The small footprints make them ideal for use in limited-space environments. 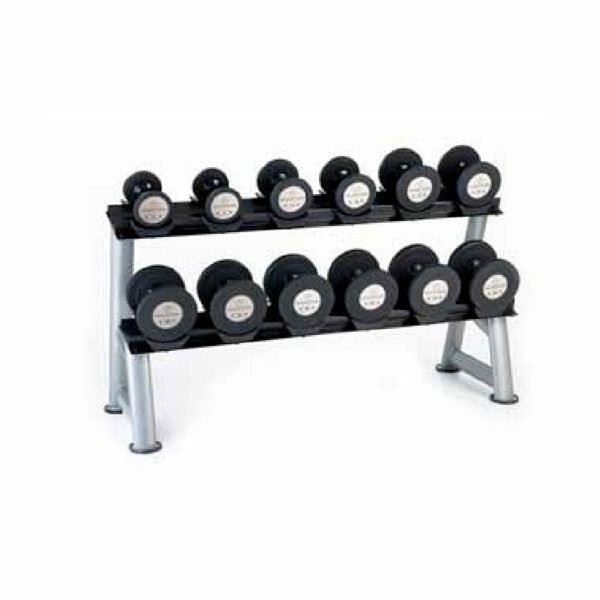 Hampton Dura-Bell Dumbbells Horizontal Racking Club Pack – if you have a bit more open floor space, and want your users to enjoy ease of use while keeping your dumbbell stacks neatly and efficiently organized, Hampton's Horizontal Racks are for you! Looking to take your client’s workouts to the next level? Hampton Fitness HERO Plyometric Boxes help increase stamina through repetition of explosive exercises and height-challenging movements. If you’re looking for the perfect battle rope for your gym, fitness studio, or personal training clients, the Hampton HERO Battle Rope is the perfect choice. 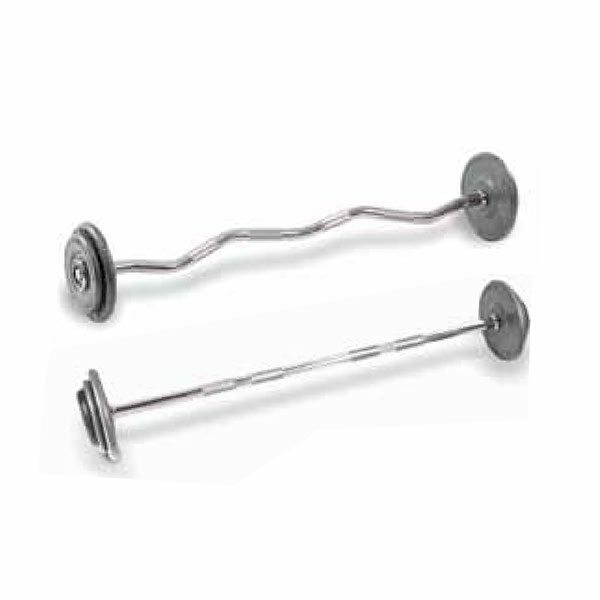 Hampton Urethane Barbell sets offer the choice between straight bars or curl bars – or both. 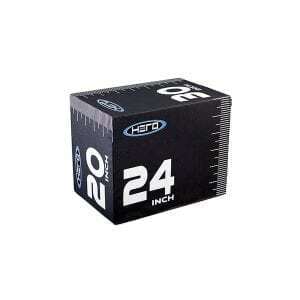 Sets are available in 20-110 lbs. 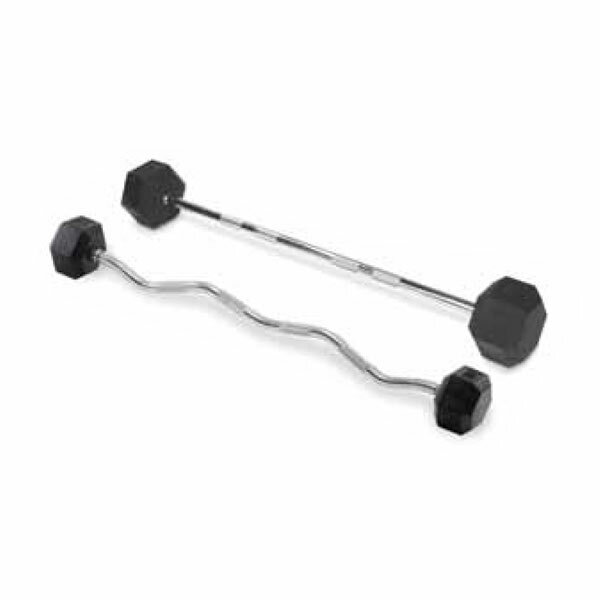 with chromed and knurled curl bars and 25-115 lbs. with chromed and knurled straight bars. 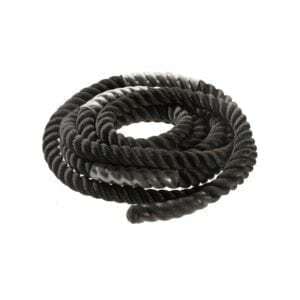 The Lite set is a combination of both straight and curled bars from 20-65 lbs. 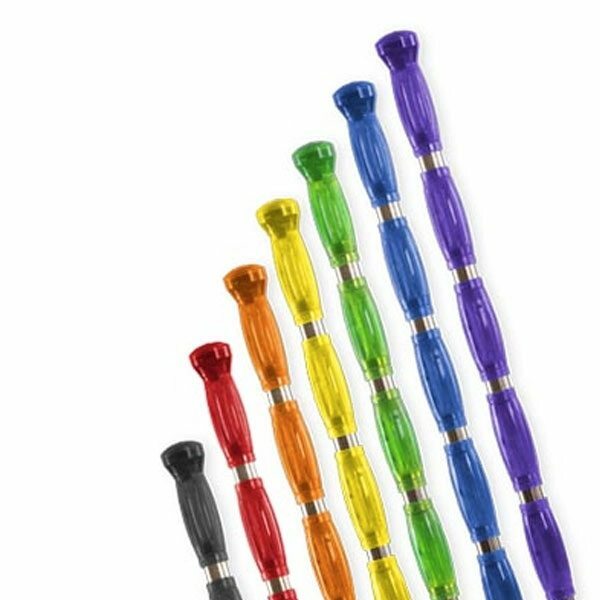 Each set includes 10 total urethane barbells in 10 lb. increments. 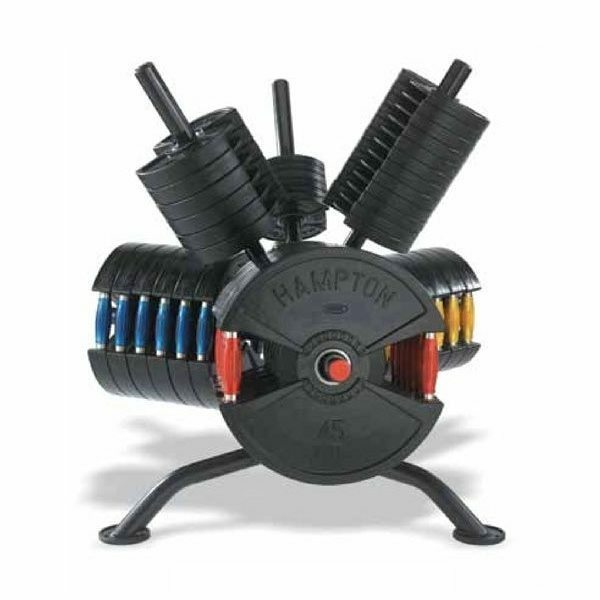 Hampton HOG (Hampton Olympic Grip) plates are cast rubber weightlifting grip plates designed for Olympic curl bars, tricep bars and 7’ bench press bars. High quality cast iron with integrated hand slots insure a tough, yet functional plate able to withstand demanding commercial environments. 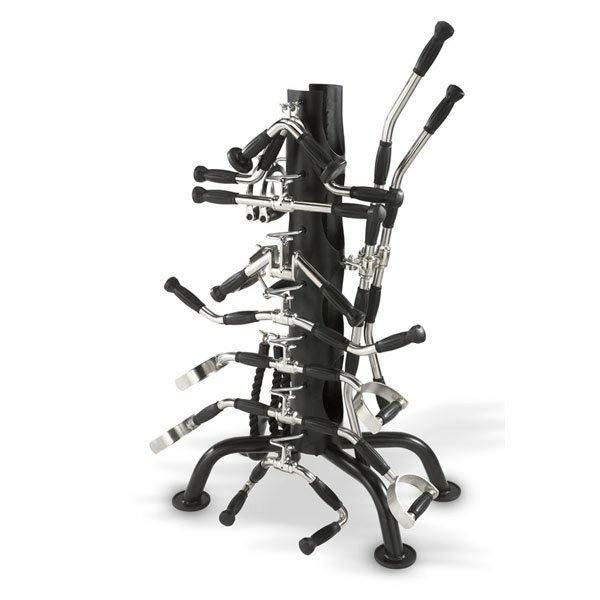 Hampton line of Machine Bar Attachment Sets are designed for a variety of isometric workouts. 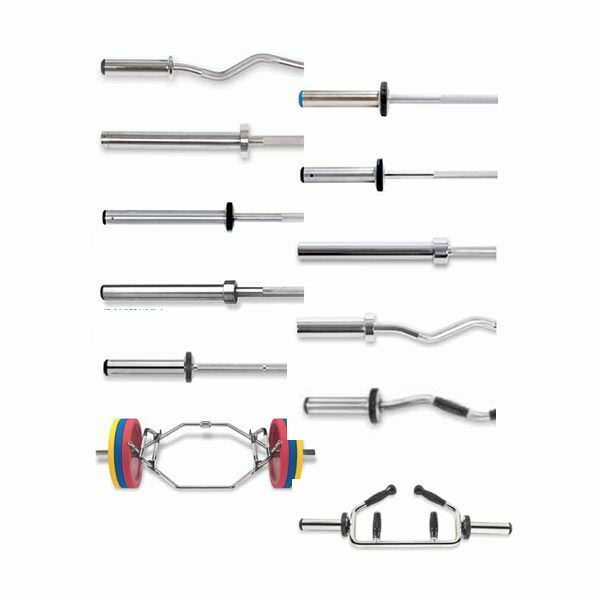 These new pieces provide a greater range of motion and more grip options than traditional designs, allowing your clientele to make the most effective use of your existing strength equipment. The vertical tower rack can hold a flexible amount of attachments which keeps your facility looking clean and orderly. Hampton line of Olympic Bars featured hardened chromed steel, with a bushing system that guarantees the smoothest rotation possible. From their curl bars to their 7-foot bars, it's innovation that sets the standard. Hampton Fitness features an entire like of olympic collars – ranging from simple Spring Lock collars, to Bulldog clamps and Lockjaw Collars. 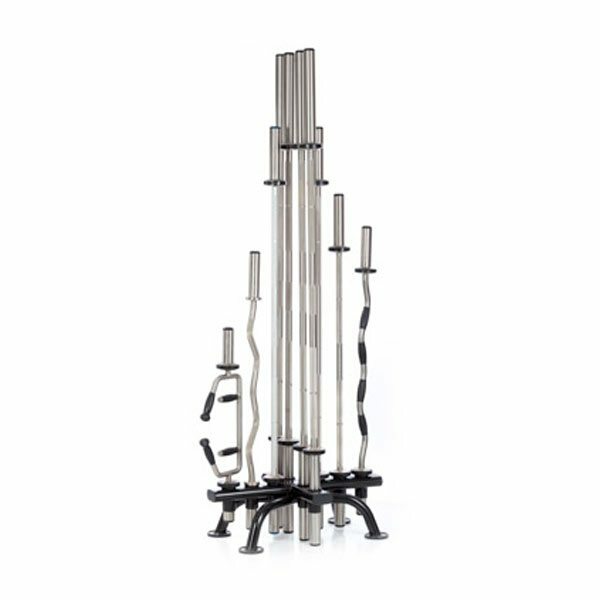 Hampton 2- and 3-tiered saddle-style dumbbell racks are beautifully designed to hold a variety of our different types of dumbbells. The 3-tiered version is perfect for those with floor-space constraints. Hampton Dura-Bell Dumbbells Vertical Racking Club Packs allows for easy access to a full set of dumbbells, and are available in a variety sizes and weight applications. The small footprints make them ideal for use in limited-space environments. 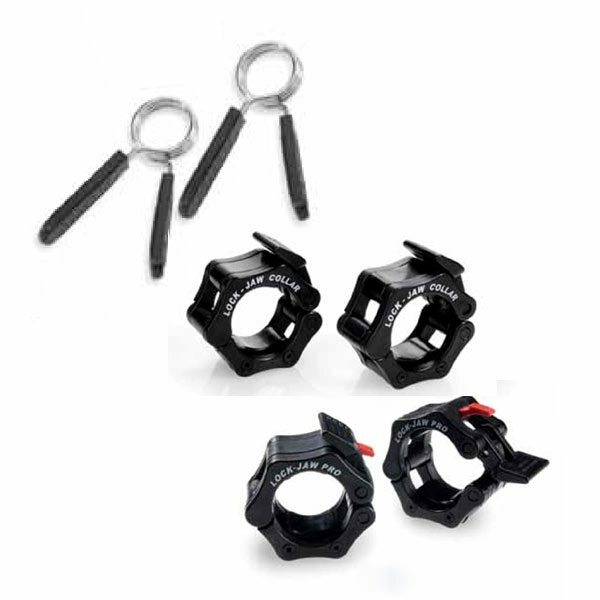 We offer 2-sided and 4-sided designs, as well as the unique five-pair Twin Tower rack (V-TT-5). 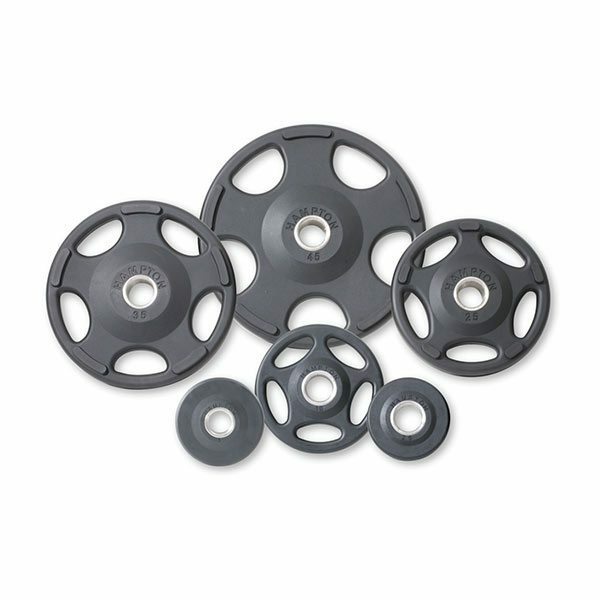 Hampton's Urethane Grip plate features a resilient finish that does not contain any lead properties. The grip plate has a recessed area around the ergonomically curved handle, making it easy to pick up off the floor. 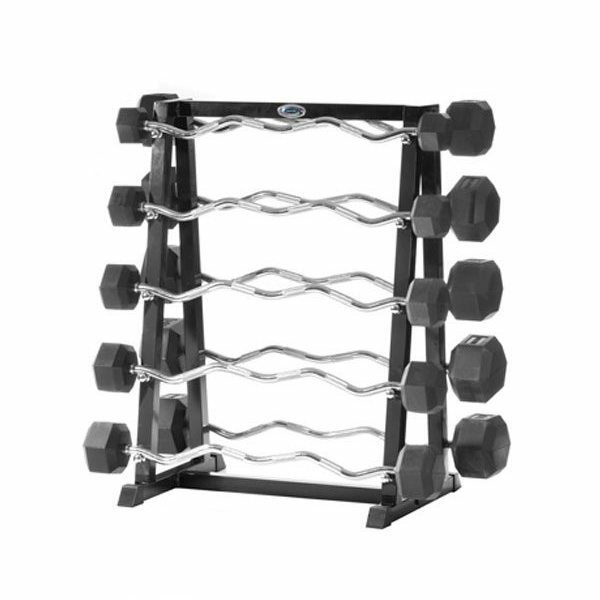 Solid, stable and durable, Hampton Flat Dumbbell Racks are designed to hold their Dura-Bell hex dumbbells. The 2- and 3-tiered designs can really help the improve space-efficiency. The tiers are specifically angled to make loading and unloading extremely easy and very safe. 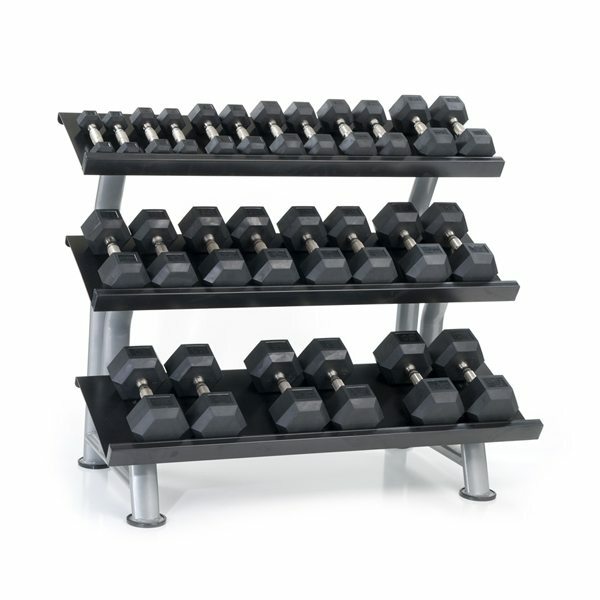 Perfect for any style of multisided dumbbells, or simply mix and match them up as desired. 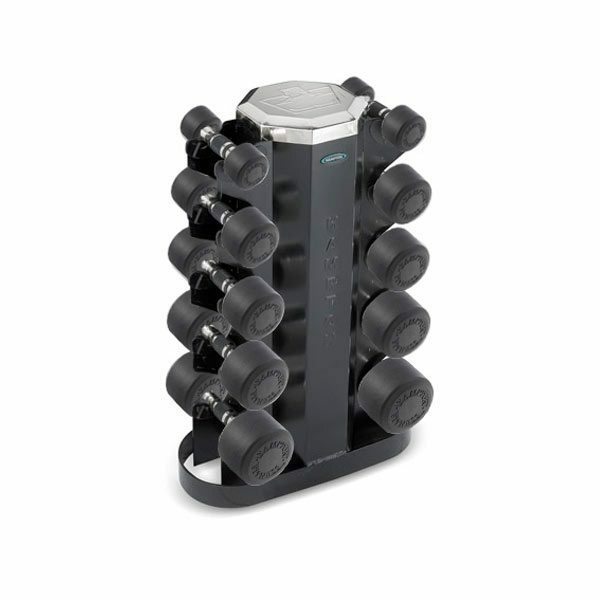 Hampton Dura-Pro Dumbbells Horizontal Racking Club Pack – if you have a bit more open floor space, and want your users to enjoy ease of use while keeping your dumbbell stacks neatly and efficiently organized, Hampton's Horizontal Racks are for you! 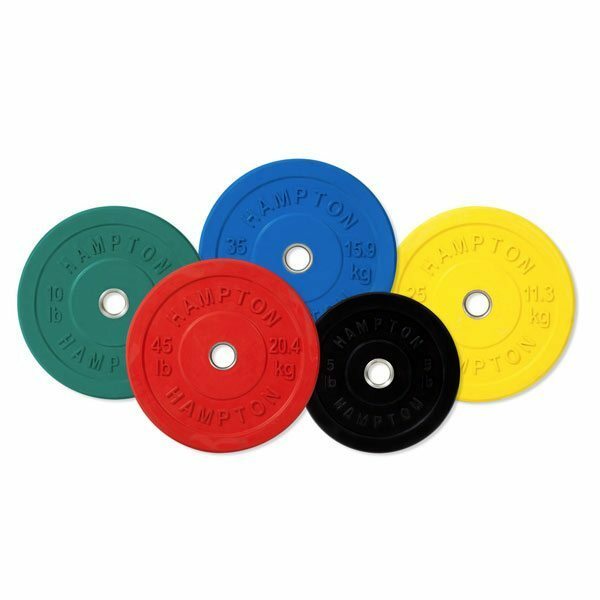 Hampton Olympic Rubber Coated Bumper Plates are constructed from solid, milled steel for a compact “slim-line” look and feel. Their steel body greatly reduces the bulk compared to solid rubber bumpers and with less rubber brings fewer opportunities for damage. Hampton Plate Racks range from the standard vertical bar rack design to the exquisitely-engineered Fusion Spin-Rack. The new urethane coated Dura-Prostyle dumbbell’s compact design with Hampton's unique 35mm contoured handle features a fine coarse knurling. This design supports the natural arch of the hand and gives the end-user an exceptional experience in every workout. The Dura-Prostyle dumbbell delivers comfort, function and durability – the foundation of what club owners and gym members have come to expect.